Good 1st Sunday to you in this new year! I started this card by piecing together a few pink and white patterned papers I had in my paper stash and adding to the pink card front. I then wrapped a length of bright pink crinkle seam binding around the vertical center of the patterned papers and tied it in a fussy bow at the top of the card and embellished it with a big pink button laced and looped with a Raspberry Cupcake Trendy Twine bow. The striped frame was stamped in white snow ink, on pink cardstock added to the center o the card front. I filled the frame with some die-cut mittens which I tied together in a shape of a heart using Raspberry Cupcake Trendy Twine. The sweet sentiment was added to the bottom of the card. Ohhhhhhhhhh this is adorable! LOVING the pink!!!!!!!!!!!!!!!!!!!!! Such CUTE little polka dot mittens! And, it's all so pretty in pink! Love the big button, too! Beautiful card and design! I totally love all of the sides of pink you used and the way you showcased the twine, it looks amazing! Beautiful card. I love the twine in the heart shape! CUTE, on my way over!! Absoluetly adorable!! Love the pretty sequins, twine and mittens! What a fun card! 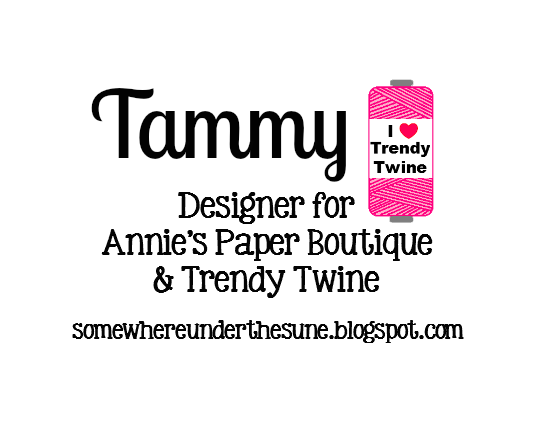 I love the addition of the Twine heart!! Great job! Oh WOW!! This is absolutely gorgeous! I love all of that PINK! I'm in heaven with all this pink! The twine look awesome! and I just love the heart! I LOVE LOVE LOVE all that pink!!!! Being in a house full of boys doesn't get me much pink...LOL!!! Love the sentiment! Love the mittens! Love the bow!! !